Generating leads is an important practice in marketing which is being refined continually in various industries to boost the chances of achieving business. Once you have generated a lead, you can pass it to your sales team, but too often they are too busy (or too lazy …) with their existing business, therefore eventually nothing happens and you just waste time and money. 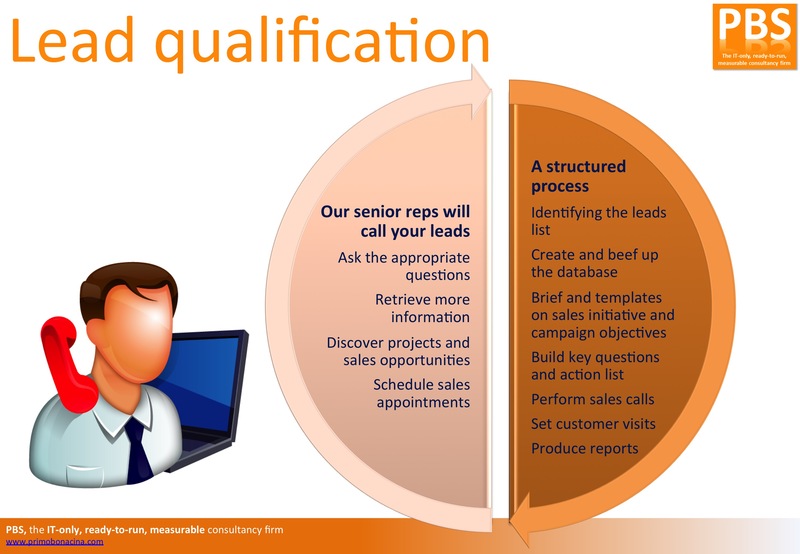 We offer you a lead qualification service, i.e. a senior (or junior, if you prefer) reps will call your customer leads, ask the most appropriate questions, retrieve more information (according to a predefined, well-structured plan) and discover sales opportunities and projects for your sales team. A customer field sales appointment can be scheduled. We are experts in innovative lead generation and qualification. Contact us with confidence!